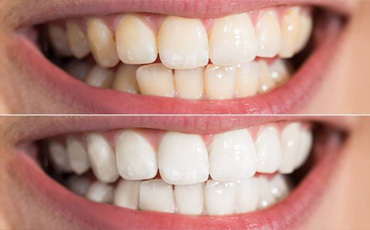 Whitening your teeth is a great way to rejuvenate your appearance without having to make significant investments in cosmetic dentistry or plastic surgery. And if you are interested in revealing the most spectacular results, we encourage you to skip the generic over-the-counter treatment and choose a professional whitening solution from our team of experts. We are pleased to offer in-office and at-home teeth whitening in Jacksonville. These are the external factors that can cause the teeth to change colors. Genetics can play a significant role as well -- some people were just born with whiter teeth than others. In general, your smile should be as bright as the whites of your eyes. Our office offers two options in teeth whitening: an in-office treatment that is completed in less than one hour, and an at-home method that allows you to reveal your results over the course of two weeks, on average. The one that is right for you depends on your budget, timeline, and personal preference. Both methods can be expected to reveal teeth that are up to eight shades brighter. After you complete your whitening treatment (or during the process for at-home whitening), it is extra-important that you avoid consuming highly-pigmented foods and beverages. Your tooth enamel is more vulnerable to these staining agents immediately after whitening, so do not drink coffee, smoke, or eat vibrant foods in the first several hours after the gel has been removed. Enjoy all the confidence of a beautiful, sparkling smile! Learn More about Teeth Whitening Today! 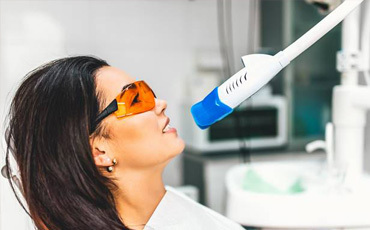 If you are interested in how professional teeth whitening can improve your smile, we invite you to get in touch with your dentist in Jacksonville to learn more. We can’t wait to help you enjoy all the benefits of this popular cosmetic treatment. Go ahead and request an appointment today.